Centrelink fraud is a serious offence because it affects the ability of the government to provide benefits to the community. Courts do not take Centrelink fraud offences lightly, even if benefits were received by you accidently. It is highly recommended to seek expert legal advice if charged with Centrelink fraud offences. George Sten & Co have been practising criminal law for over 50 years. To have your case analysed by high quality lawyers, visit our Sydney CBD office or call us on 9261 8640 or 0412 423 569. Centrelink fraud is committed in a number of ways but generally it means a person making false, misleading or incorrect statements to Centrelink to receive benefits. It is easy to get caught and charged with a Centrelink fraud offence as Centrelink obtains information from payment cheques, data matching, and cross-checks with the ATO. But it’s not so easy to defend the offence. That is why you need to speak with George Sten & Co for expert legal advice. Centrelink fraud can begin from just receiving an incorrect benefit and not dealing with the situation appropriately. If you know or suspect you received benefits incorrectly, you should obtain legal advice before Centrelink catches up with you to force payment and appear in court to answer to criminal charges. George Sten & Co are committed to stand by you and advocate your rights. We have extensive courtroom experience and extensive trial skills. We believe everyone is entitled to best defence possible, and we provide exactly that and more. 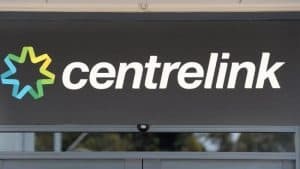 Centrelink offences are on the rise and the government hopes to reduce them by demonstrating to the community they are vigilant and serious about deterrence by imposing severe penalties. Where you are contacted by Centrelink, or you have received an incorrect payment, obtain competent professional advice and assistance from George Sten & Co on 9261 8640 or 0412 423 569.